As we slowly approach the April 15th deadline for filing 2012 tax returns, the following are 5 tips to help you get started with you tax filing process. If you haven’t received your W-2 you can still file your tax return by the April 15th deadline. Use Form 4852, Wage and Tax Statement, to estimate your withholding taxes and income. Be as accurate with your calculations as possible, and expect that there may be a delay as the IRS verifies your information. If you need to file a revision after you receive your W-2, be sure to correct your return using Form 1040X. Here is more information about how to file Form 1040X: How to File an Amended Income Tax Return (Form 1040X). Alternatively you can also file for an extension if you need more time filing your tax return. The Form you should use is Form 4868 and it will grant you a 6-month extension. Be sure to file for the extension before the April 15th deadline. Here is more information about how to file an extension: How to File a Tax Extension. If you can’t afford hiring a professional tax preparer to help you file your tax return, see if you qualify to use the IRS sponsored VITA and TCE programs. You must earn less than $51,000 to qualify to receive assistance through the VITA program. To qualify for the TCE program you must be 60 years of age or older. Check the IRS page to find assistance in your area. Here is more information about tax return assistance: Where to Find Free Tax Help, Information, and Advice. Don’t forget to contribute funds to your IRA account before the April 15th deadline. Beware not exceed the 2012 IRA Contribution Limits. Consider using a Backdoor Roth IRA if can’t contribute to a Roth IRA because your income is too high. Here is more information about starting an IRA: How to Open a Roth IRA Account (the same steps are applicable to opening a Traditional IRA). If you made less than $50,270 in 2012, you may qualify for the EITC tax credit. You can use the EITC Assistant to answer a few questions and quickly find out if you qualify. I hope these tax tips are helpful. 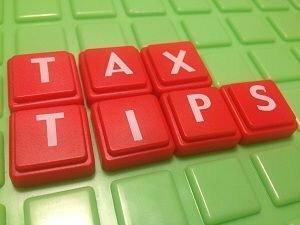 Do you have any tax tips you would like to share with other readers? Neda Jafarzadeh is a financial analyst with NerdWallet Investing. NerdWallet helps consumers make better financial decisions and compare total costs to find the best online broker for their needs. I totally agree with Jonathan maybe the most important tip is to pay your taxes on time, otherwise you are paying 2 or 3 bills and it’s not pleasant.